The only true Yes concert film (as in it was shown in theaters as a motion picture) this movie suffers a lot from the time period in which it was made. Granted, this classic performance from December of 1972 is a great time capsule, but filmmaking has come a long way since then. Indeed the sound is weak, and at times it looks like the movie was shot with no light. There are some odd visuals of underwater life and microscopic organisms further complicating the issue. All that said, Yes does put in a great performance. 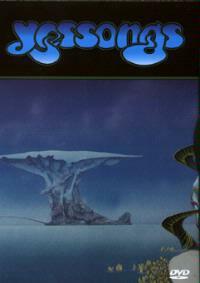 It is important to note that although the live album released at the same time is also called "Yessongs" it is not from the same performance as this film. Among the unusual items on this recording is a short rendition of jingle bells during Rick Wakeman's solo. In releasing this in the new digital format the original theatrical teasers for the movie have been included.